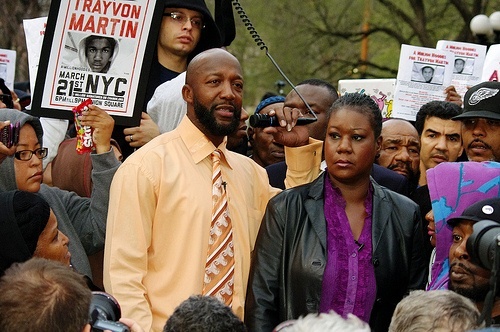 We cannot get the anguished face of Sybrina Fulton, the mother of unarmed teenager Trayvon Martin–who was gunned down by a self-appointed neighborhood watch volunteer in Sanford, Fla., in late February–out of our minds. Her suffering and indignation–along with that of Trayvon’s father, Tracy Martin–has galvanized citizens of diverse races, classes, religions and generations to organize rallies, petitions, hoodie marches and social media campaigns raising awareness of violence and bias against African Americans. By confronting a somnolent nation with the consequences of bigotry and fear, then stirring citizens into action, African American feminists have stood our ground, turning acts of violence and victimhood into opportunities for empowerment and advocacy. We’ve worked within black communities to develop anti-racist and anti-sexist strategies.